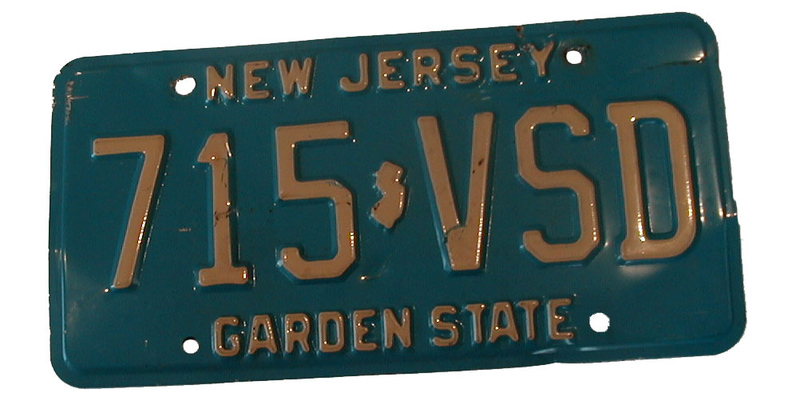 New Jersey license plate featuring the state nickname (GARDEN STATE) and the official state colors (Jersey blue and buff). Photo by Steve Bowbrick on Flickr (noncommercial use permitted with attribution / share alike). New Jersey license plate; [file:field-file-main-description] Photo by [file:field-file-photographer]/Flickr ([file:field-file-license]). 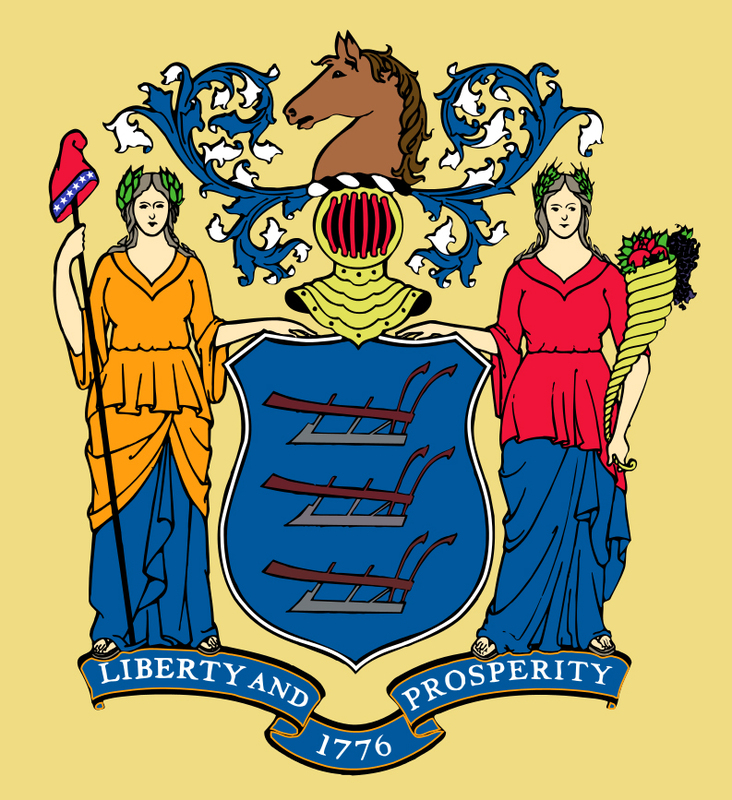 In 1780, during the Revolutionary war, General George Washington directed that the regiments of the New Jersey Continental Line have a flag of dark blue and buff. He presumably selected these colors for historic reasons - New York and New Jersey were both originally settled by the Dutch, and dark blue (Jersey blue) and buff were Holland's (the Netherlands) insignia. Buff and Jersey blue dominate the New Jersey flag (public domain image on Wikipedia).